LinkedIn, Visa, Yahoo!, Disney, Salesforce.com, Brocade, PG&E, Lucasfilm, Gilead, Charles Schwab, Dropbox and Dolby. 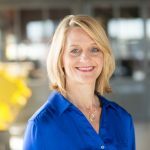 Christy offers extensive experience in Leadership and Change, Teams, Authentic Leadership Communication, Executive Presence, and Emotional Intelligence (EQ). She is passionate about partnering with organizations to reinvent leadership and purposeful company culture. Christy is also a certified TILT™ Practitioner. Christy's view is that purpose and profits need not be separate pursuits. The clients Christy is most compelled to work with are those who are committed not only to improving their bottom line, but also contributing in a meaningful way in their community or in the world. Christy and her husband and 2 kids unplugged from school and work in the Silicon Valley for half a year recently for a global service venture, volunteering with organizations in poor villages in India, Thailand, Kenya, Uganda and Honduras. Christy holds passionately that people in any role, or at any age, can bring about transformational change. Christy believes that taking one’s leadership to the next level is an “inside out” process. Her work with leaders is both reflective and results-oriented. Christy is energized by helping leaders combine character strengths, competence and personal connection for greater impact.